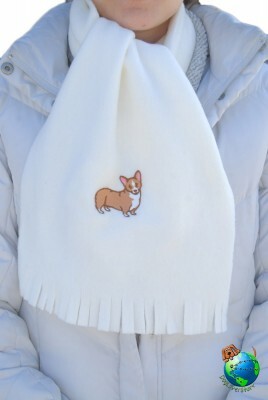 Once again, we have another new product line for you – dog scarves! We are currently offering 20 different breeds to see how the demand is! If you don’t see your breed let us know. We will keep track and add new breeds accordingly! 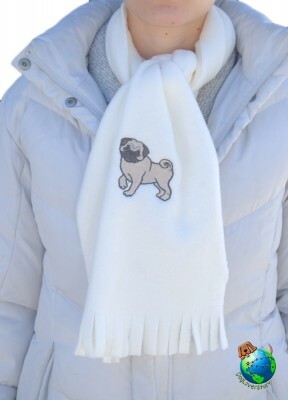 Each scarf is hand made in Massachusetts. From the cutting of the cloth, to the embroidered dog, everything is done by hand! The anti-pilling polyester is cream colored which allows any outfit to be paired with our scarves. Anti-pilling is a type of fabric that resists being twisted together from use and washing which creates a rough texture. Anti-pilling fleece not only is softer, but it will stay soft for a longer period of time than pilling/standard fleece. 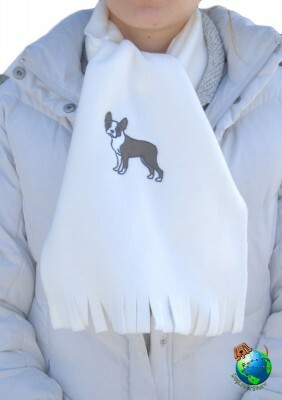 For more details have a look at our offering of dog scarves here: click here. You can also view a few samples below.